While many catwalk beauty looks go to extremes to create a work of art that might not be wearable off the runway, there is a moving trend towards beauty that is simpler and more natural looking, which is perfect for summer 2015 beauty inspiration. Summer hair shouldn't be over-styled: hitting the beach or enjoying a holiday should be relaxing and fun, and this should be reflected in the hairstyle you choose. There is a huge trend for braids currently, with many designers creating pretty braided crowns, loose plait styles and fishtail braids. 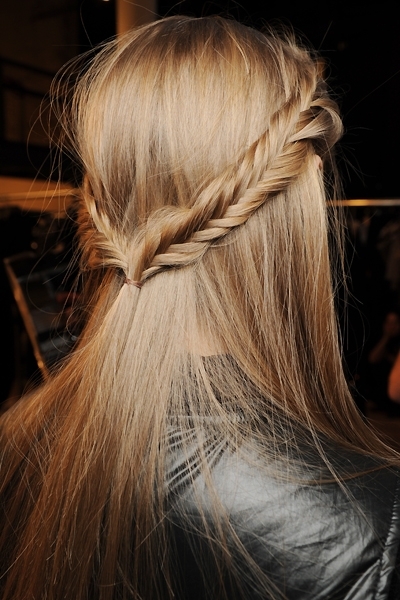 To make a braid look messy, loosely weave strands together with your fingers, allowing some to fall out of the braid as you go. There are many great tutorials online for crafting crowns or getting the fishtail look just right. 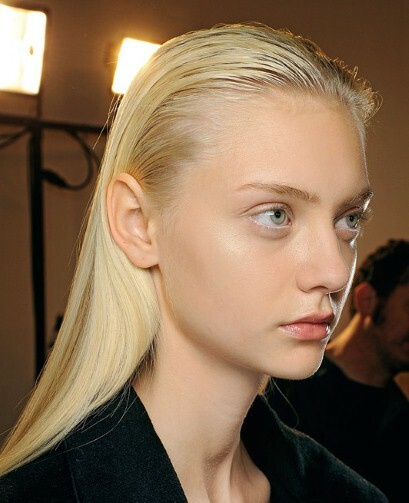 Another option for summer is slicked back hair which can have a wet look. Perfect for the beach, this will keep your hair in place while also looking polished and pretty. Some wet look gel and a comb is all you need - just apply to the top of your head and comb all of your hair back and away from your face while leaving the ends dry, so only the top of your hair has that slicked look. The ultimate in summer hair is an obvious option: surf waves. These are a catwalk favourite too, and look beautiful on everyone. Just spritz some beach wave product onto wet hair, scrunch and let your hair air dry, allowing the product to create subtle but pretty waves. Spray with just a little hairspray to keep the look in place once your hair is ready to go.